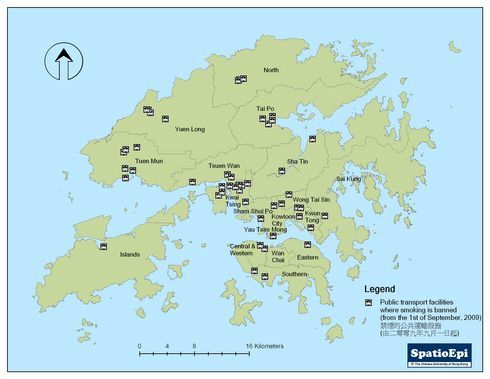 Data source: Tobacco Control Office, Department of Health, HKSAR. Any bus terminus of more than one specified route as defined in section 2 of the Public Bus Services Ordinance (Cap.230). 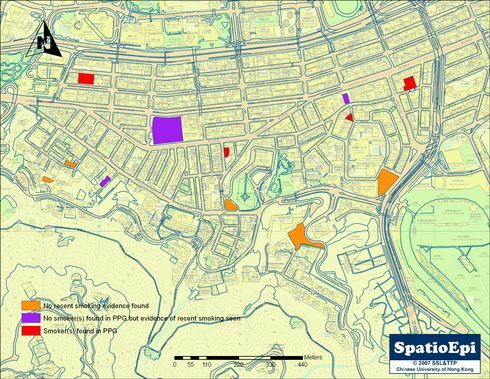 Map shows Public Transport interchange/ terminus with superstructures, which have been designated as no smoking areas. No person shall smoke or carry a lighted cigarette, cigar or pipe in these areas, or will be liable to a fixed penalty of $1,500.